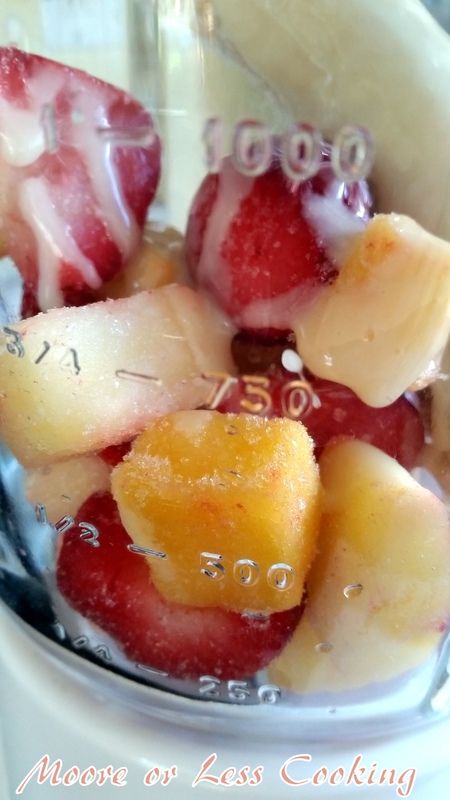 Fruity Smoothie and a Giveaway! I have been drinking smoothies every morning! I am trying to keep up with my New Year Resolution of eating better and exercising more. I start every morning with a healthy Fruity Smoothie! 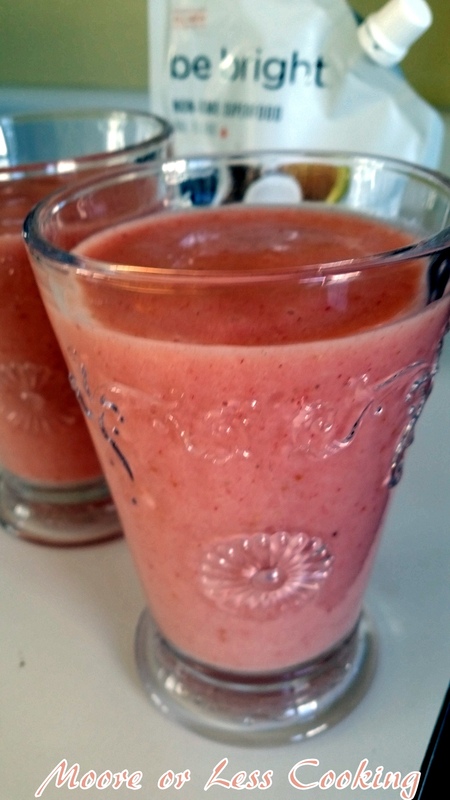 This fruity smoothie is so delicious using be bright Non-Gmo Superfood. Be bright combines the five best superfood oils into a creamy and delicious, easy to use and digest daily boost so your whole body can shine it’s brightest! 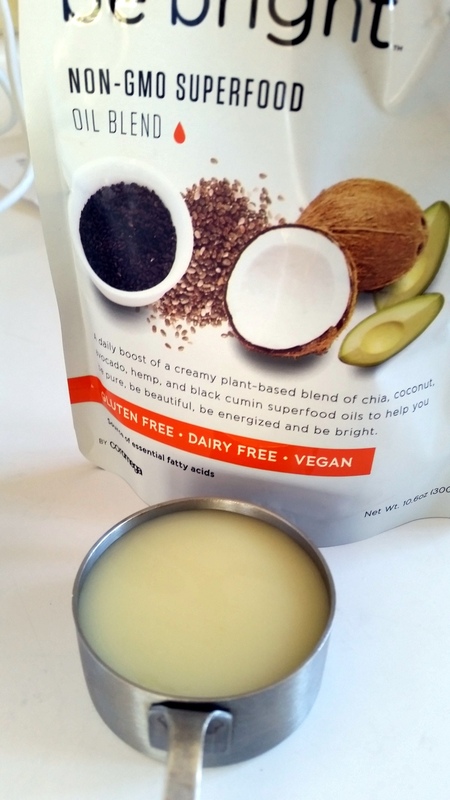 Be Bright Non – GMO Superfood contains: all Non GMO products; coconut oil, chia seed oil, avocado oil, hemp seed oil, and black cumin seed oil. These are all powerful antioxidants and natural detoxifiers. 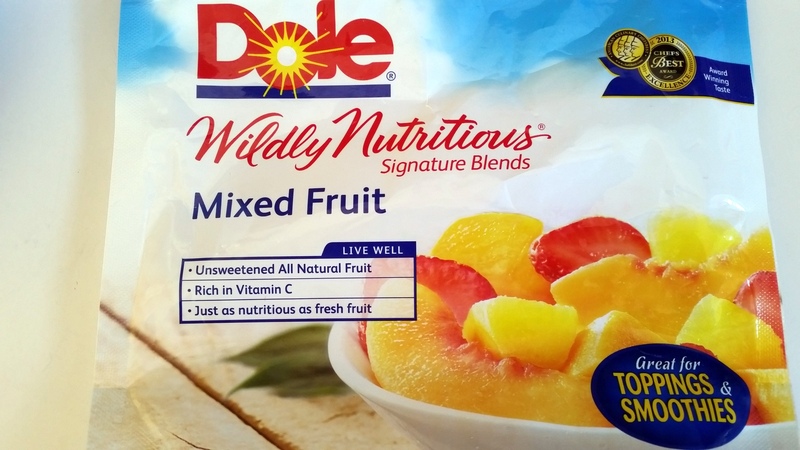 To make this smoothie, I used Dole Mixed Fruit, 1 banana, be bright oil blend and Almond Milk. Easy! Only 4 ingredients! This smoothie is Dairy Free and Vegan. Place all of the ingredients in a blender and whip up a delicious breakfast or snack. I am also having a giveaway! Just enter in the link to win a container of be bright Non-GMO Superfood Oil Blend! Tell me in the comments what your favorite flavor smoothie is. Place all ingredients in a blender. Blend until smooth. Pour into 2 glasses. Enjoy! This post is sponsored by be bright Non GMO Superfood, all opinions are my own as always. Thanks for the chance to win. I love strawberry, banana smoothies. I love a good cookie/hershey bar/marshmallow smoothie. Kidding! I also like strawberry/banana, but I’m trying to add different things so I don’t get bored. Yesterday I had blueberry, spinach, orange juice, and banana. I also add cinnamon, honey, turmeric, and flax or other fiber. The one I want to try is kiwi, spinach and mint! It was recently in O magazine. Thank you for the giveaway! Would love to try this in my smoothies. Nettie, I’ve never seen a giveaway “thingie” like you have above, so I’m not sure exactly how to make each task work. I should have 6 or 7 entries, but it shows I have only 4. Not that it really matters in the grand scheme of things, but perhaps there are bugs in it. I do not have twitter, instagram, google+, etc, so the few things I do have, and can do, I have done….I’d like every chance I can get! 🙂 Please know that I am not being critical, I’m just letting you know that I am having some problems with it. I do appreciate the giveaway!! I will talk with the head of Viral Sweep and make sure you get credit. thank you, Nettie! If you’d like, I can tell you which ones I did. I didn’t count the bonus entries. My favorite smoothie flavor is strawberry!